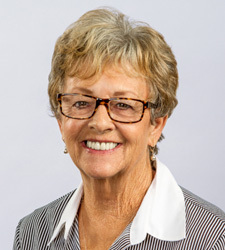 Peggy’s career as a Real Estate Agent has included many facits of the business, including home resales, property management, escrow and President of a Homeowners Condominium Association. She raised her family in Anaheim and enjoyed the years of service she spent as the PTA President at Ball Jr High and Loara High School. She was also booster mom for Loara Little League, Loara Water Polo, Wrestling and Baseball. She is currently a member in good standing with the local, state and national real estate associations. She contiues to be a part of the community in support of the Coffee with Cops and Coast to Coast Foundation (outreach for the homeless). She is a member of the National Return Peace Corps Volunteers, Whittier High School Alumni Assoctiation and the National Notary Association. She believes all good relationships are built on a foundation of trust.